"We Can see clearly" is the theme at the monday challenge at Simon Says stamp. It's ok to use imagination and think of a different meaning. 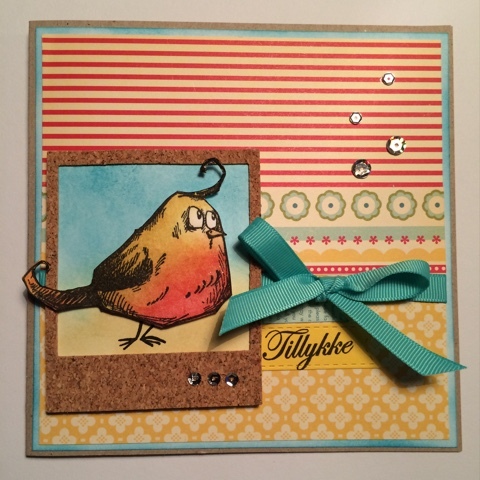 I chose to "see clearly colors" and came up with this card with Tim Holtz' Crazy Birds, which I'm crazy about.